I already shared this on my MM Facebook page, but I'm delighted to announce that the translator is finished and did an amazing job (Thank you, Lorraine! ), and the files have been officially uploaded! Our L4LL DIY Summer Reading Camp is officially available in English AND SPANISH! Freemium subscribers: If you signed up for our basic, free summer reading program, you should be able to purchase the individual weeks (there's 10 weeks of 100+ activity pages divided into 10 themes) for $6. Check your emails on Monday for the link to the Spanish files. 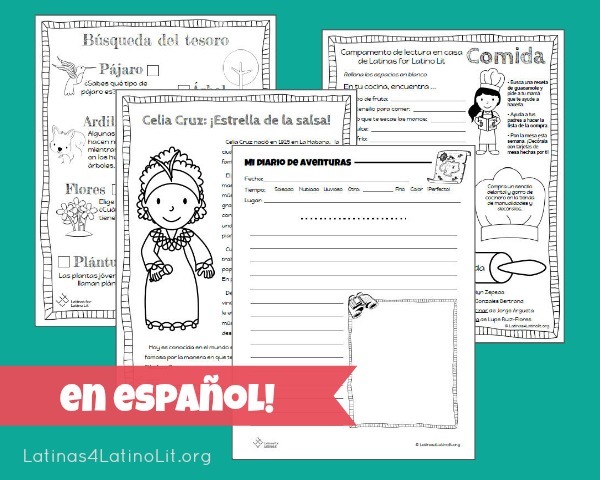 TEN weeks of activity pages to strengthen your child's literacy skills in English and/or Spanish. More than 100 printable pages are divided into 10 themes: Folklore, Sports, Art, Poetry, Immigration & Heritage, Nature, Summer, Music, Food, and Familia. 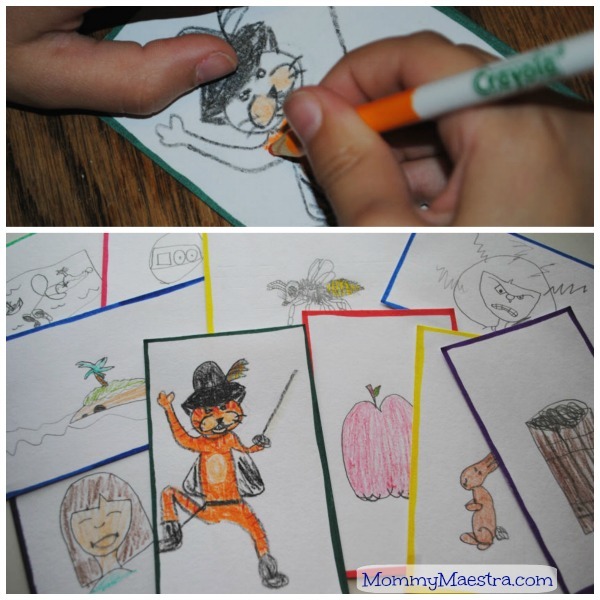 I designed all of these with my own children in mind: I wanted to focus on fun while building their literacy skills. The first week is Folklore and my children have been busy doing the English version. We focused on a different activity each day over this past week. 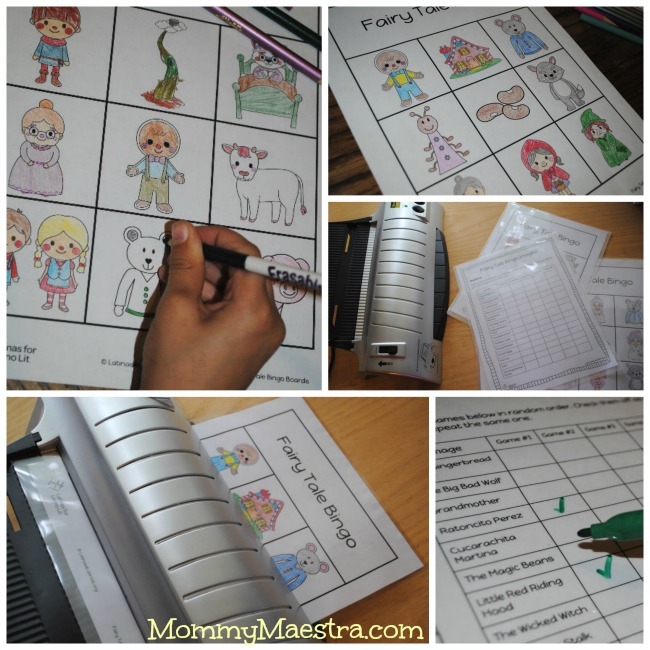 We started off reading The Bossy Gallito by Lucía González, since it is on the recommended reading list that comes with each theme (these titles are in addition to the ones on our Summer Reading Lists), then the kids colored in their Fairy Tale Bingo Cards and we laminated them for extra durability before we played a bunch of rounds. 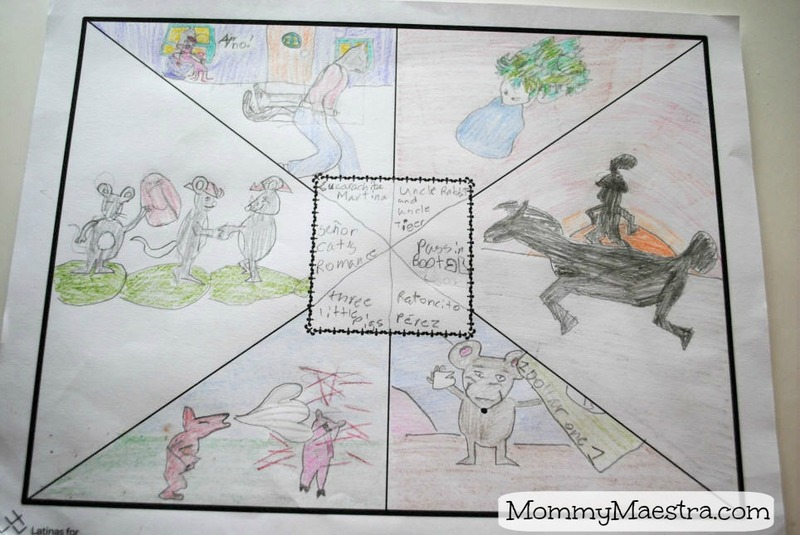 Then they filled out the Fairy Tale Storyboard, where they drew scenes from six different tales. Check out my daughter's completed storyboard below. She included both Ratoncito Perez, Cucarachita Martina, and Señor Gato (I don't really remember his story, but she said it was from another book by Lucía González). Next it was time to make our own storytelling cards. My kids are big drawers, so they made a list of random items: people, places, things. Then drew them out. They did a few more activities and ended the week learning the difference between folklore and fairy tales. The L4LL blog is also posting additional resources such as videos and craft tutorials each week to complement that week's theme. This past Wednesday we shared an awesome video about Latino Folk Tales. Because I know you'd want to sample a page before you purchase anything, I have a free printable for you to enjoy. This freebie has the English and Spanish version. I had SUCH a hard time deciding what to offer you because there are so many awesome activities, but in the end I figured one of the cover pages would be best because every themed file has one at the beginning and it gives you an idea of what types of activities are included in the pack. Each week's activity pack comes with approximately 10 activity pages for your child to complete over the course of the week.